PERFECT IN EVERY WAY! 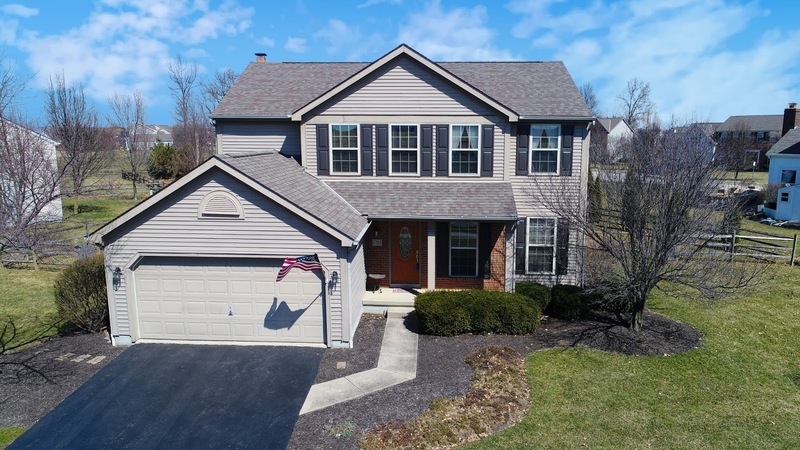 Extensively upgraded Two-Story home on ~ 1/3 acre mature treed & fenced lot with amazing outdoor living spaces close to Polaris & Alum Creek State Park with Beach & Dog Park. New wood floors on main floor 2018 and new carpet 2017/18. Updated island Kitchen with 42” cabinets & new Stainless Steel appliances walks out to a multi-level paver patio. Family Room has new carpet and brick W/B fireplace. Owner’s Suite has walk-in closet & private Bath with garden tub. Finished Lower Level has Recreation Room & Den Area. Everything has been done for you, just move right in and enjoy! 4 BRs & 2.5 Baths. Over 2,400 SF on 3 finished levels! Olentangy Schools. Only $324,900! Call DeLena today!